It’s not just for Jason Bourne any more. When traveling abroad, a money belt is an excellent way for the international traveler to achieve a level of security and peace of mind perhaps not otherwise found. For those in the reading audience unaccustomed to the travel habits of European men of mystery, here’s a quick description. A money belt is an unobtrusive, small, zippered pouch worn around your waist. It should be fastened beneath a pair of pants or skirt but over shirttails. Most people wear them in front, under the stomach, for easy access, but if you find that uncomfortable, it can also be slid around to the small of the back. 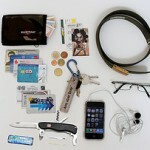 What goes in the money belt? That’s easy. A day’s worth of spending money and important documents. You don’t need to load yourself down at all times with every euro or peso under your control – just enough to get you through the day’s planned activities. A money belt shouldn’t be loaded down with superfluous junk like brochures and snacks. Plan on your passport, driver’s license, credit/debit card, contact list, and cash. The rest of your stuff should be left in the hotel safe or put into regular pockets. 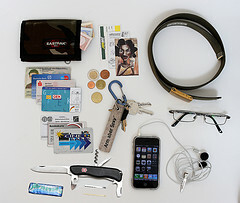 Items to go in the money belt should be considered essential and necessary in the event of “unplanned” circumstances. put it in a Ziplock bag and hang it over the nozzle. Think of it like this. You put on your underwear at the beginning of the day and don’t worry about them again until you undress in the evening. That’s the way a money belt should function in your mind. Do you take your underwear off to eat lunch? Hopefully the answer to that question is no. How about when you go for a walk around the block? Probably not. Neither should you with a money belt. In a foreign country, identification documents, cash, and emergency contacts can become your lifeline.